I won’t even start to tell you how long these shoes have been in my stash. Longer than 3 months. That’s how long. They were maybe $5 at Walmart and screaming for a makeover! My first stop for lots of crafts is actually Pinterest. 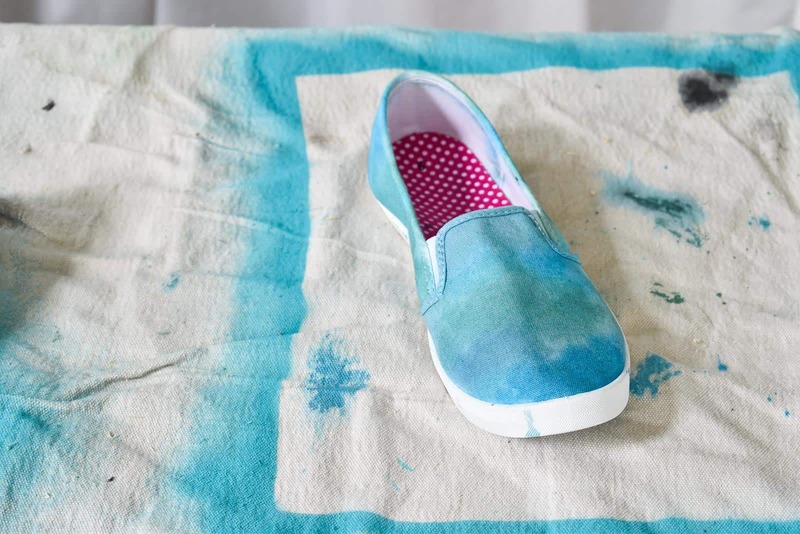 I know that seems like a cop out, but sometimes seeing one idea leads to others… My scroll through shoe makeovers lead me to decide that I loved the watercolor/ tie dye look and… I happened to have a stash of dye in the shed! I had a spray bottle of water with a little bit of vinegar so I use this to spray down my shoes first. 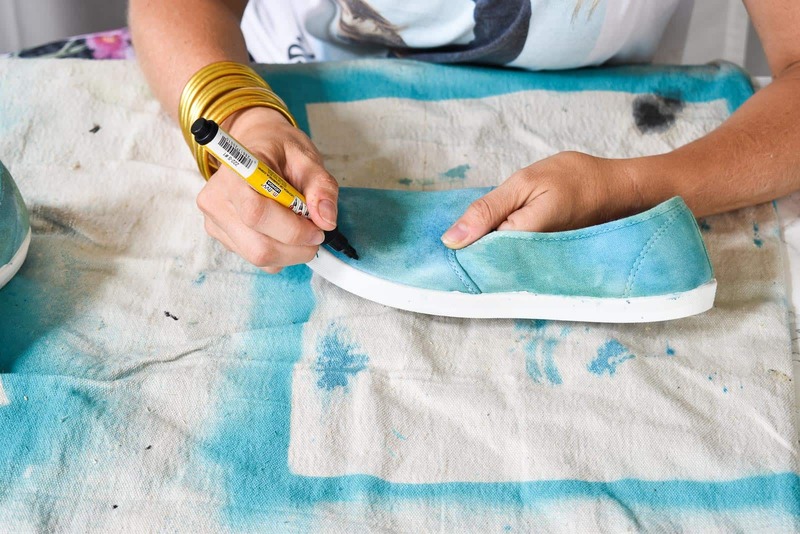 I diluted the dye the tiniest bit, and then painted it onto the shoe in small patches using an inexpensive bristle brush. 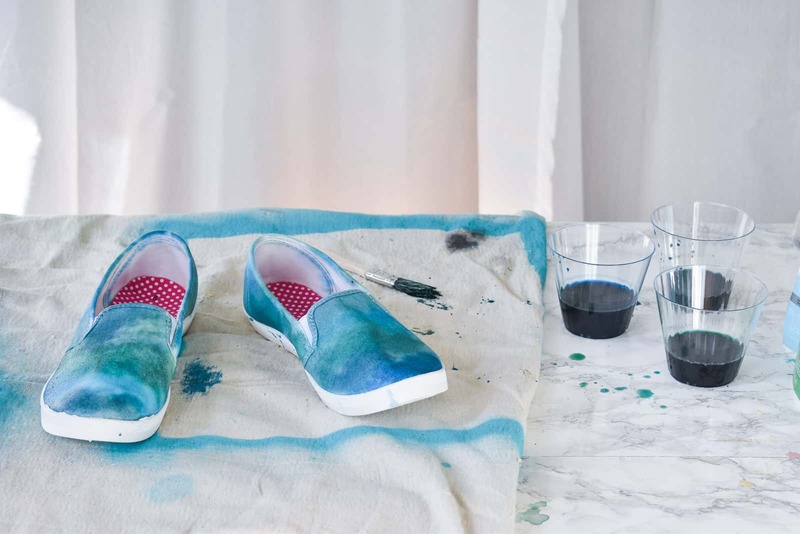 Because the shoe is wet, the dye will absorb right into the canvas like watercolor. Make sure you’re using colors that ‘play nice’ together… i.e. mix well. They WILL bleed into each other so you’ll want the various color combos to work. My dye was blue, aqua and green essentially. Step 3. Re-dye for added saturation. 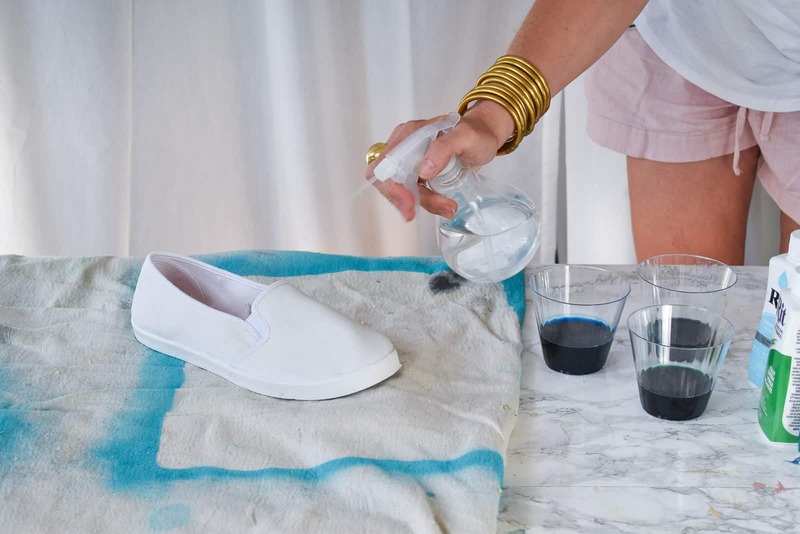 IF you want your shoes to be a bit darker, feel free to go back over either while the shoes are still wet OR spray them again and repeat steps 1 and 2 once they’ve dried. I was underwhelmed by how my shoes looked with just the dye. I think the colors I chose were a bit too close to each other so the shoes looked mottled but not necessarily tie dyed. So I used a fabric pen to add some pattern! I’m loving mud cloth patterns these days (Exhibit A) so I started by drawing a line of pattern across the arch of the shoe. Then I went back and added row by row of pattern working toward the toe of the shoe and then back towards the tongue of the shoe. I left the sides and the back alone for a little contrast. The longest part of this craft was waiting for the dye to dry! 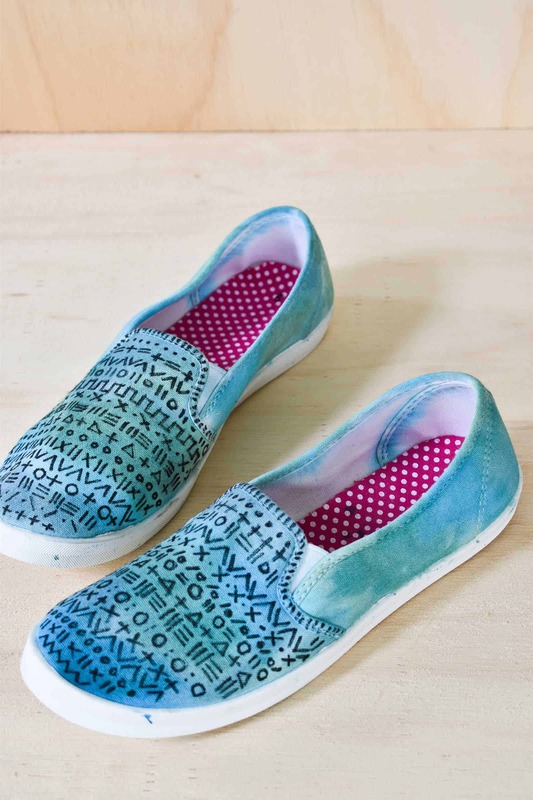 I’d love to try this project again with more contrasting dye to see if I can get away without the paint pen pattern. That said, I LOVE the pattern and the bit of graphic detail it brings to these $5 shoes! 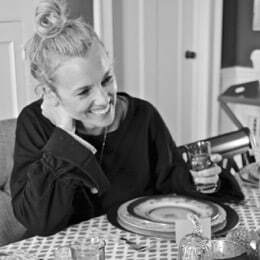 You know I love to share a video if I can, so here it is if you prefer to watch! Gah!!!! 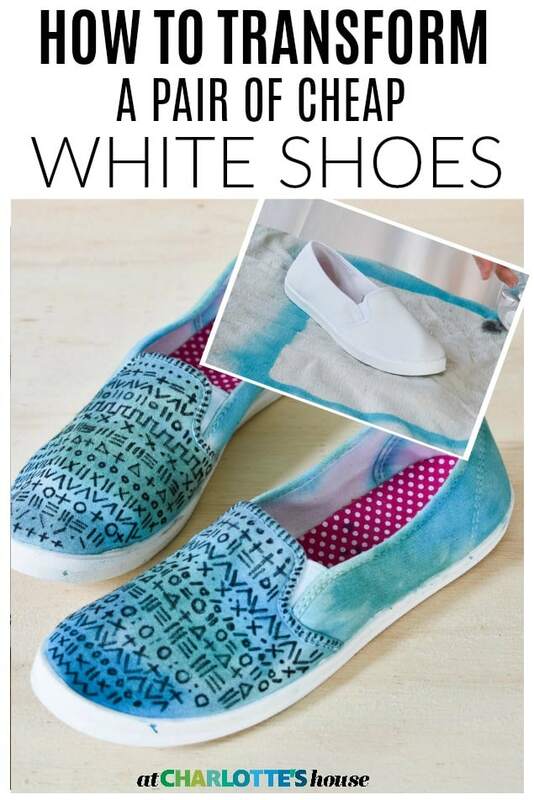 These are amazing-now I need to head to walmart for shoes to try this onfor my granddaughter-and maybemyself:)Thanks for posting this–they look fantastic!